Three months ago, I announced that the Department of Defense would be opening all remaining combat positions to women. As I said at the time, to succeed in our mission of national defense, we cannot afford to cut ourselves off from half the country’s talents and skills. We have to take full advantage of every individual who can meet our standards. At every stage in this process, I have emphasized that the implementation of this change must be handled the right way, because the combat effectiveness of the world’s finest fighting force is paramount. Chairman of the Joint Chiefs of Staff General Dunford and I agree that implementation should be done in a combined manner, by all the military services working together. And to make sure we did this right, I asked the military services to incorporate seven guiding principles — transparent standards, population size, talent management, physical demands and physiological differences, operating abroad, conduct and culture, and assessment and adjustment — into their implementation plans. Over the last three months, each of the military services and U.S. Special Operations Command (SOCOM) have put a great deal of thought and effort into their plans to incorporate these guidelines. Having reviewed and approved their exceptionally thorough work, today I’m pleased to announce that each of them will be moving forward by the end of this month. While I encourage our men and women serving in uniform to read the implementation plans, which are publicly available from the Army, Navy, Marine Corps, Air Force, and SOCOM, I’d like to provide a few key examples that illustrate how we will proceed in a deliberate and methodical manner that will make our force stronger. Transparent Standards: My first and foremost guiding principle was that the services would need to continue to apply transparent and objective standards for all career fields to ensure leaders assign tasks, jobs, and career fields throughout the force based on ability, not gender. In this respect, the services have been able to leverage the great amounts of data they gathered over three years’ worth of studies to make their standards up to date and operationally relevant. We found over the last few years that in some cases we were doing things because that’s the way we’ve always done them. For example, previously one of the tasks to earn the Army’s Expert Infantry Badge required soldiers to move 12 miles in three hours with a 35-pound rucksack, but it turns out that the rucksack weight was based on a World War II-era airborne study. It was the minimum weight required to prevent the ruck sack from getting tangled in a jumper’s static line, and had nothing to do with the equipment required for paratroopers to fight with once they landed — let alone the modern equipment that infantry soldiers need to carry today. This process drove us to take a closer look at our training, too, and going forward, we will be using standards informed by today’s real-world operational requirements, informed by experiences gained over the last decade and a half of war in Iraq and Afghanistan. 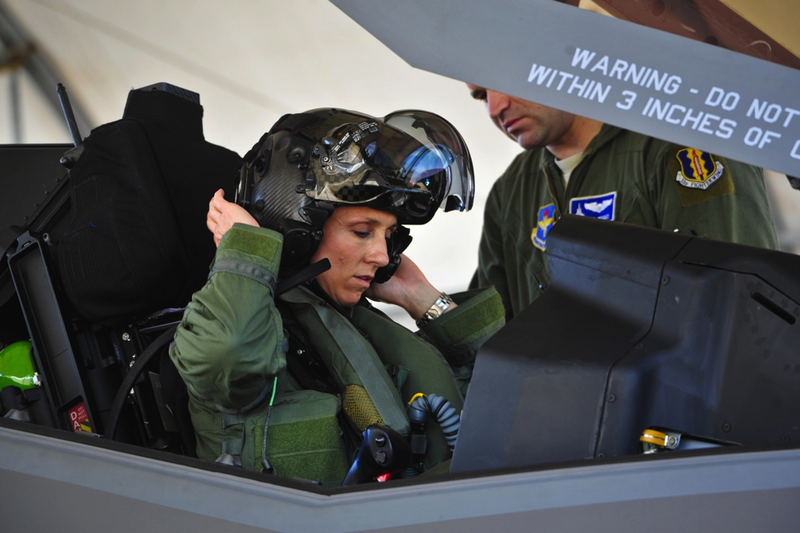 As a result, our military will be even better at finding and training not only the most qualified women, but also the most qualified men, for all military specialties. Population Size: Second, the fact that we’re holding everyone to the same high standards may mean that in some cases, equal opportunity may not always equate to equal participation. 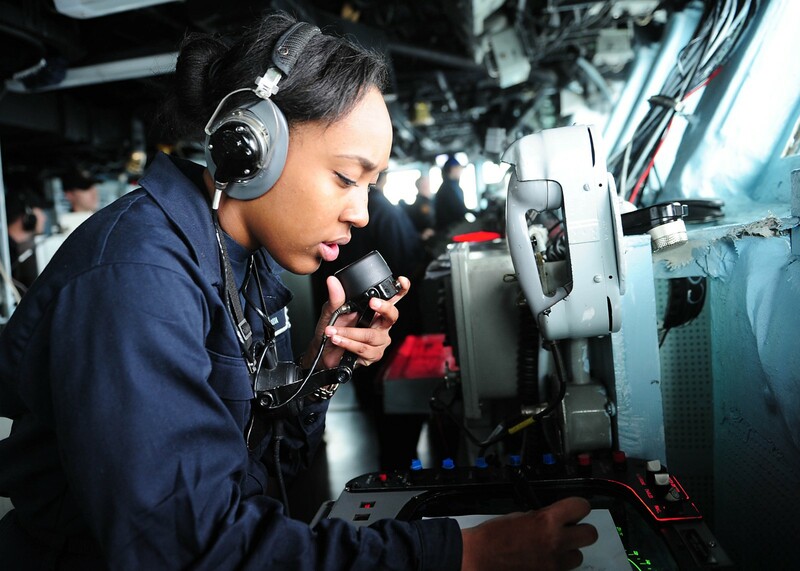 Here, we’ll incorporate lessons we’ve learned in the past, like how the Navy has integrated women onto surface ships and more recently, submarines. The Army and the Marine Corps will integrate women officers and senior enlisted into previously-closed units before integrating junior enlisted women, and where they can, they’ll assign more than just one woman into a unit at a time. This will help ensure that women officers play a key leadership role, set the right example, and enhance teamwork wherever possible. Talent Management: Third is talent management — integration provides equal opportunity for men and women who can perform the tasks required; it does not guarantee women will be promoted at any specific number or at any set rate, as adherence to a merit-based system must continue to be paramount. 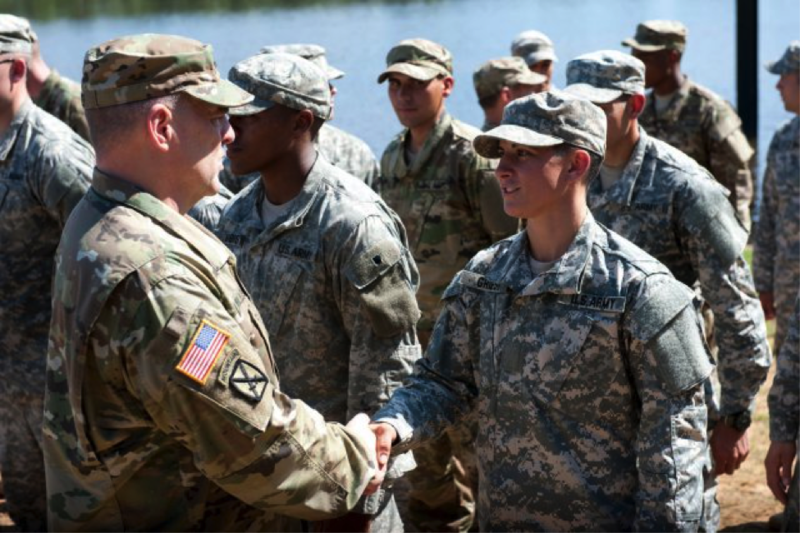 This has been a particular focus area for all the military services, and they’ll be paying extra attention to it as they pursue implementation, mindful that it will require sustained effort at all levels of leadership to ensure that when someone gets ahead or moves up a rank, they earned it. We have to remember that it takes decades to grow a general or flag officer, so it will take time to see these results. Physical Demands and Physiological Differences: Fourth is the fact that, on average, there tend to be physical and other physiological differences between men and women. Accordingly, all the services have looked closely at ways to mitigate the potential for higher injury rates among women, and they’ve come up with creative methods to address this. For example, the Army intends to give all new recruits what they call an occupational physical assessment test, the results of which will help better match the recruits with jobs they either are, or with training could be, physically capable of doing. 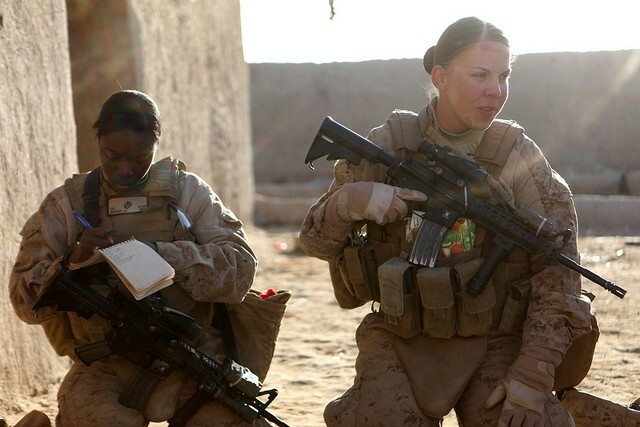 Likewise, the Marine Corps plans to use the extra time provided by their delayed entry program so that women who are interested in enlisting in ground combat arms can better prepare themselves for the physical demands of the job they want to serve in. And as we gain new insights as more women integrate into previously-closed positions, all the services will leverage that information to develop new approaches to reduce the potential for higher injury rates. All of this will help maximize effectiveness in the fight and increase readiness. Operating Abroad: Fifth, while we know the United States is a nation committed to using our entire population to the fullest — as are some of our closest friends and allies who have already achieved full gender integration — we also know that not all nations share this perspective. Our soldiers, sailors, airmen, and Marines have long dealt with this reality, notably over the last 15 years in Iraq and Afghanistan, and because of this, the military services have many lessons to draw on when it comes to operating in areas where there is cultural resistance to working with women. This is an area where we will always have to be vigilant, and the services are prepared to do so going forward across the force. Conduct and Culture: Sixth, we must address attitudes toward team performance through education and training, including making clear that sexual assault or harassment, hazing, and unprofessional behaviors are never acceptable, and that everyone must be treated with the dignity and respect they deserve. Our core beliefs in good order, discipline, leadership, and accountability are foundational to our success in integration. The services will be using new educational resources to train everyone up and down the ranks to prepare for the integration of women, from the newest recruits to four-star admirals and generals. While each service is different and will do this in their own way, I know that all of them will continue to hold our people to the highest standards of honor and trust we associate with the profession of arms. Assessment and Adjustment: Seventh, it is absolutely critical — and a core tenet of DoD’s character as a learning organization — that we embark on integration with a commitment to the monitoring, assessment, and in-stride adjustment that enables sustainable success. Every service is deeply committed to this. One example I want to highlight is U.S. Special Operations Command, which will continually measure and track a variety of categories for its personnel — including physical performance, injury rates, health, promotion, qualifications, and retention — to assess how integrating women into special operations forces can be further improved over time. As I said in December, it’s important to keep all of this in perspective. 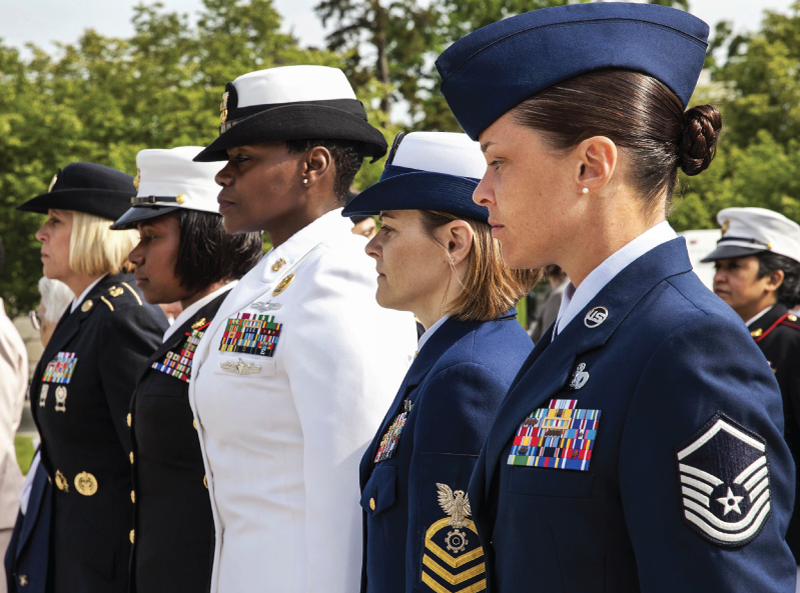 Since then, we’ve already seen some changes — women servicemembers have started to volunteer for ground combat roles, and the Army, Navy, Air Force, and Marine Corps are all beginning to step up their recruitment efforts. But even as we proceed with implementation going forward, it won’t all happen overnight, and while at the end of the day this will make us a better and stronger force, there will still be problems to fix and challenges to overcome. We shouldn’t diminish that. At the same time, we should also remember that the military has long prided itself on being a meritocracy, where those who serve are judged not based on who they are or where they come from, but rather what they have to offer to help defend this country. That’s why we have the finest fighting force the world has ever known. And it’s one other way we will strive to ensure that the force of the future remains so, long into the future. Today, we take yet another step toward that continued excellence.